At JJ Eyes, we strive to carry luxury brands that are usually only found in large metropolitan areas. Among these high fashion designer lines, one of our favorites is the iconic Christian Dior. Headquartered in Paris, France, Christian Dior – or Dior as it is commonly called – is a French luxury goods company that was founded in 1946 by Christian Dior. The following year, Christian Dior launched his first fashion collection, which was nicknamed “The New Look” by Harper Bazaar’s editor-in-chief. Despite being greeted with mixed reviews, Dior solidified himself as a promising new designer and was credited with reviving the fashion industry in France. 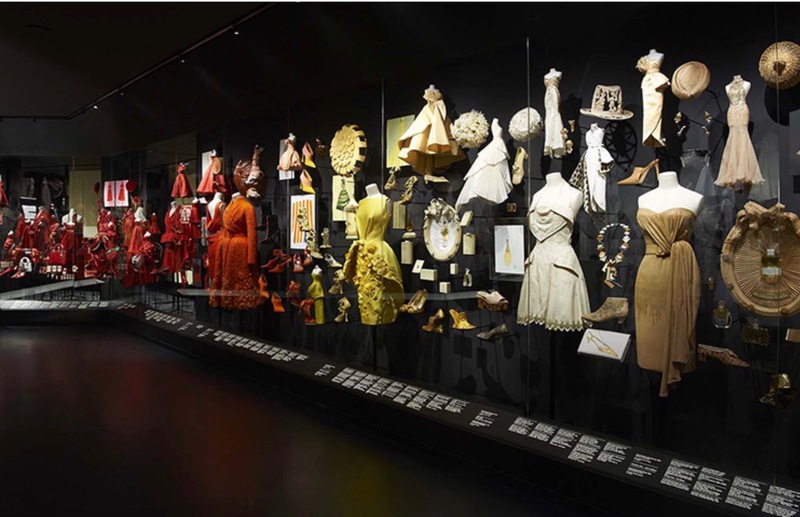 By the 1950s, The House of Dior, as it came to be called, was a successful fashion empire and Christian Dior was the exclusive designer for many film stars including Ava Gardner and Marlene Dietrich. Unfortunately, Christian Dior passed away in 1957 after suffering from a heart attack. The brand underwent many changes following Dior’s death, and aspiring designer Yves Saint Laurent was quickly promoted to artistic designer. Saint Laurent followed in Christian Dior’s footsteps and continued to produce high quality, ready-to-wear clothing. Many customers were pleased with Saint Laurent’s designs as they were easier to wear than those of Christian Dior yet they still embodied the iconic look the late Dior had created. The brand remained profitable throughout the 60s, 70s, and 80s, and the clothes and products often reflected the trending styles of the times. By 1990, Dior had opened numerous flagship stores in Tokyo, Los Angeles and New York City. Over the years, Dior has also acquired many celebrity endorsers including Carla Bruni, Milla Jovovich, Jude Law, Charlize Theron, Rihanna and Natalie Portman. Today, Dior offers leather goods, footwear, jewelry, skin care, fragrances, and of course fashionable eyewear. 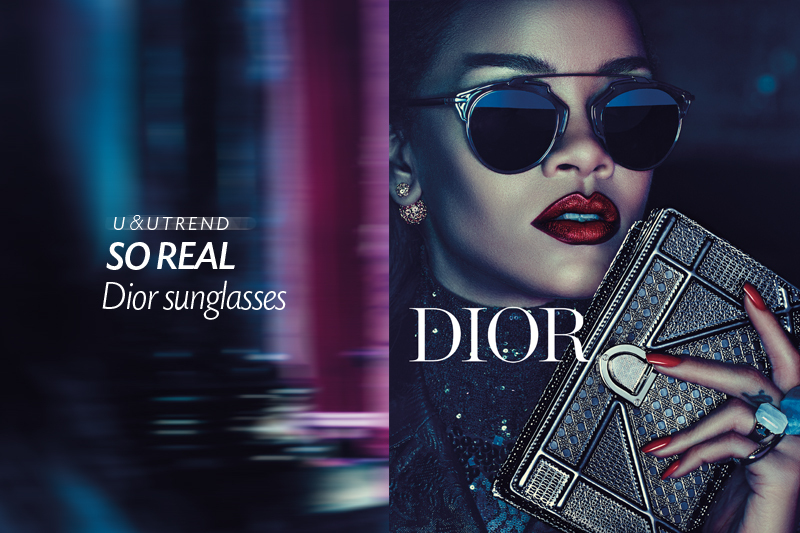 Dior eyewear generates $212 million each year, making it one of the most popular eyewear brands on the market. Dior has become synonymous with luxury and class but their sunglasses still manage to be both fun and stylish. The lenses are often brightly colored with uniquely shaped frames. One of the best-selling Dior frames in recent years are the “So Real” frames from the 2014 summer line. The glasses have come to be recognized on their shape alone, with their aviator-style frames and thick lenses. Many celebrities including Gigi Hadid and the Jenner sisters have been spotted wearing the fashionable sunglasses. If you’re in the market for a new pair of classic frames, come visit us at JJ Eyes and let us introduce you to our favorite Dior looks.